Pops up in seconds - Folds down instantly for easy storage. Made with high quality materials. Has a bottom pocket for stability. The target is angeled for better visability. Take this net anywhere! If you have any questions regarding the ProChipping Golf Practice Net, please give us a call, we would be happy to help you with any questions you may have. 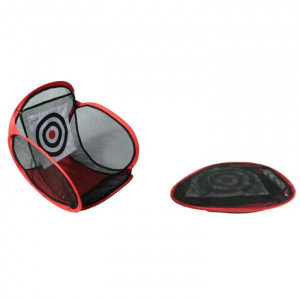 Write an online review on the ProChipping Golf Practice Net, and share your thoughts with others.